What is Hungary Golden visa? 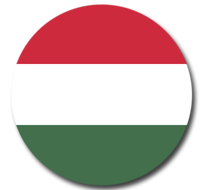 The Hungarian Residency Bond (“Program”) allows third country nationals (non-European Union citizens) to acquire Hungary’s permanent residency status through investing in Special Hungarian Government Bonds that have a minimum 5-year maturity and are issued by the State through the Government Debt Management Agency (“AKK”). Where is Hungary and what is the local currency? Hungary is a landlocked country in Eastern Europe. The local currency used Hungarian Forint (HUF), which is approx 300 forints for 1 euro. The Hungarian capital Budapest is the 8th most popular tourist destination in Europe and over 2 million tourists visit every year. Lake balaton is very popular in summer. Budapest is a safe city to live and has very low crime rates. English is widely spoken. Hungary has less snowfall, warm climate not too cold (max -5 deg) in winter and not too hot (35 deg) liveable conditions in Central europe. The cost of living is only half of other big european cities such as Berlin, Vienna, Paris. Vienna is just 3 hours by high speed Railjet train from Budapest. Budapest Liszt ferenc airport terminal 2 is centrally located and has excellent connections to all major cities in Europe. Is Hungary a schengen country? Yes, Hungary signed the schengen agreement. The visas and residence permits issued by Hungary is valid in all schengen states, including Switzerland. The currency in Hungary is "Hungarian forint (HUF) which is approximately 300 forints for 1 euro. What are the steps involved to apply? First, make the investment through us, then with the papers, apply for D visa to visit Hungary first time at the Hungarian embassy/consulate in home country, showing the papers for purchase of Government bonds 300,000 euro through approved lawyer in Hungary. Visit Hungary immigration office (BAH) to receive 6 month temporary residence permit (TRP). After 6 months, TRP is converted to Permanent residence permit ("National settlement permit issued under economic interest) valid for 5 years and then renewed later for another 5 years. Can i live and visit EU Schengen member states? Yes, with a valid Hungarian ID card (residence permit card), you visit all the 25 schengen states for business or tourism purpose. You can also live in these countries for maximum 90 days in 6 month window period, under Schengen rules. Bulgaria, Croatia, Romania, Cyprus, Bosnia, Moldova, Montenegro, Georgia. You can also visit Turkey with e-visa using your Hungarian card. Can i go to UK with the visa issued under hungarian residency bond scheme? UK does not belong to Schengen zone, so if you are non-EU national, you will need a separate UK visa. Hungarian residence permit (ID card) is not valid to visit UK. Is the Golden visa bond program approved by the Government? Yes, it is fully backed by the Hungarian Government. Yes, it can be arranged. What documents are required to apply for golden visa? Travel and health insurance coverage (original must have sign and seal from the issuing company). Document proving entitlement of social care services in Hungary. If apostille is not available, then the documents must be legalized/notarized at hungarian consulate, by signing infront of the consular officer depending on the document. All documents must have a copy, and originals must have seal/stamp with a signature to be accepted by the Hungarian consulate under hungarian law. What are the common reasons for refusal by the hungarian authorities? Provide false or misleading or concealment of information in the application form. You are a subject of expulsion or entry and stay ban, as well as Schengen Information System SIS alert ordering entry and stay ban. who has a criminal record in home country. If you fail background or diligence checks done by the Government. If you are from blacklisted countries. 21 working days by the Office of immigration but may take longer. The time from applying at the embassy and receiving your visa will take 2 months or more. How to renew the residence permit after expiry? You can easily renew the residence permit after 5 years for another 5 years. You have to apply at the Office of Immigration of Nationality (OIN), 30 days prior to the expiry date. Please also note that if you change your place of living, you have to notify OIN office immediately. Is the Government fee paid refundable? No, it is a non-refundable payment once your application is approved. What are the benefits available with hungarian residency? Family and children get PR under family unification. No language tests. No health tests. No education requirement. Financing option possible for the entire investment. Does the bond program grant lifetime permanent residency in Hungary? What is the validity period? The person is granted permanent residence status under residency bond scheme, is entitled to stay in Hungary for an indefinite period, the validity period of the national permanent residence permit document is a maximum of five years, which can be extended by a maximum of five years case by case. How does the whole scheme work? Apply at Hungarian embassy in your country for residence permit with investment fund share certificate and other documents, including rented lease in Budapest). After 2 weeks will be approved, you will be given D visa to visit Hungary for 30 days to complete the formalities. With the D long term national visa, you must come to Budapest(Hungary) in person for fingerprinting and reporting with Immigration office, ot collect temporary residence permit card (TRP). Remember with Hungarian D national visa, you must enter Hungary as a first destination, you cannot enter or go to other Schengen countries. Only after collecting your TRP card, you can go to schengen countries. After 6 months, this card will be converted to National permanent residence permit valid for 5 years and then renewed thereafter for another 5 years. After 5 years of living in Hungary, you and family can apply for Permanent residence status, issued with 10 year validity (optional). When can i apply for permanent residence card in Hungary? You can apply for permanent residency, after you have lived in Hungary for 5 years without interruption. But this is not really needed, if you already have investor visa of bond investment. The days are counted with entry and exit stamps in your passport. Once you have PR card, you must remember that you cannot be absent out of Hungary for more than 6 months, if not it will be revoked. You may be also questioned at the border, why you are holding PR card, if you are living outside Hungary for a long time. What happens after 5 year lockout period? You will get back the 300,000 euros, money you paid after 5 years (no-interest paid). You will still keep the PR issued by Hungary. No need to subscribe the Fund’s shares again. What is the difference between "National Permanent Residence Permit" and "Permanent Residence Permit" issued by Hungary? National permanent residence permit is like a temporary residence card valid with maximum 5 year validity and then can be renewed later. Permanent residence permit (green card) is issued to you only after you have lived 5 years (as per law) in Hungary and is valid for maximum 10 years. Under the Hungarian residency bond scheme(golden visa), you will get national permanent residence permit issued under economic activity. What are the eligibility conditions to apply under the scheme? The main applicant must be over the age of 18. Children under age of 18. The applicant needs to purchase the share of Hungary Govt Bond Fund which in turn purchases the EUR 300,000 Hungary State Special Debt Bonds with lock-up period of 5 years. No interest will be paid during or after the lock-up period. No language, age, or working experience requirement. What if the application is rejected by Hungarian authorities? Please refer to Refund Policy. We provide partial refund of the costs. Are there any residency requirements to live in Hungary? Once granted the permanent residency, there is no residency obligation to live in Hungary. However they are free to enter and exit any schengen country. Can we get PR status for newly born children? If the child is newly born in Hungary, then parents (holding PR status) can file directly with the local immigration office BAH for the child’s permanent residency application. Is it possible to get Hungarian citizenship under this program? Yes, you can get Hungarian citizenship and passport after 8 years of living by naturalizing. You will also need to pass Hungarian language test and take an oath. Can i work under the golden visa scheme? Yes, you or your family members are allowed to work under the scheme. Can i buy a real estate in Budapest? Yes, with the residence permit card, you are allowed to buy housing or real estate property in Hungary. The prices are cheap usually a nice flat in a central area costs from 60,000 euros. But this only after you get approved under the golden visa scheme. Can i get residency visa if i buy only real estate, if not under residency bond scheme? No you cannot get residence visa, just buying a real estate. Only buying Government bonds will get you residence visa to Hungary. Do i need to rent housing accommodation under the bond program? Yes, renting a house/flat is one of the requirements to apply for residency bond program. After you receive your residence card, you can buy a flat to live. Do i need to pay taxes in Hungary? Only if you live more than 183 days per year, you become a tax resident. The hungarian tax authority (NAV) will issue you a tax id card, and it is recommend to have one. Does Hungary permit dual citizenship? What is the difference between "Temporary residence permit" and "Permanent residence permit" ? Temporary residence permit (TRP) has limited validity (say for 2,3,5 years), while Permanent settlement permit has unlimited validity. Can EEA/EU citizens apply under this program? No, this scheme is only open for third country nationals outside EU. What are the approval and success rates? We have had 100% succesful approval rates, as we do a quick due diligence on clients and let them know beforehand if they can get approved. Are you Government authorized agent for the Hungarian bond program? Can US citizens apply under this program? Yes, we welcome Americans to apply under this route and we also encourage real estate investment in Budapest. What if my passport is expiring soon? To apply for the golden visa program, we recommend your passport has to be valid for atleast 6 years. As a general rule, when you travel, you must have atleast 6 months validity. Are we allowed to do business investment in Hungary? The golden visa program allows only bond investment. It does not have provisions for business investment. What are the taxes in Hungary? Does Hungary has double taxation treaties with other countries? Can hungarian legal entities or companies buy real estate? Is it possible to open bank account in Hungary? Hungarian banks offer internet banking in english, and you can open multi currency accounts in Euros or HUF. You must appear in person at the bank, show your passport to open bank account. The living costs in Hungary are much lower than in western Europe. General costs for a month are at least EUR 600, while apartment rentals start from EUR 500 / month, utilities not included, which come around EUR 100 / month. So all in all you will need about 1000 euros or 300,000 forints to live comfortably in Budapest. It is much cheaper to live in the countryside. What services do you provide in Hungary? Translation of documents from English to Hungarian or vice versa. Can i visit your office for meetings? Yes, we are happy to arrange meetings for you. Please contact us for prior appointments. How are the transport systems in Hungary? Budapest has excellent public transport systems (bus, tram, metro) and taxi to airport takes about 50 minutes costs about 25 euros. There are trains and buses to the countryside towns but only in the daytime. Lake balaton is about 135 kms from Budapest. What are some of the big summer events happening in Hungary? In summer, hungary is full of festivals and events. In August, there is one week Sziget festival with 1 million visitors, Balaton festival (same month), Beer & Wine festival in Castle hill (jun/jul), F1 Hungarian Grand Prix (July end) and tonnes of events happening every week end.